Stan Douglas: The Secret Agent review – the spy who came in from the heat. By Sean O'Hagan. 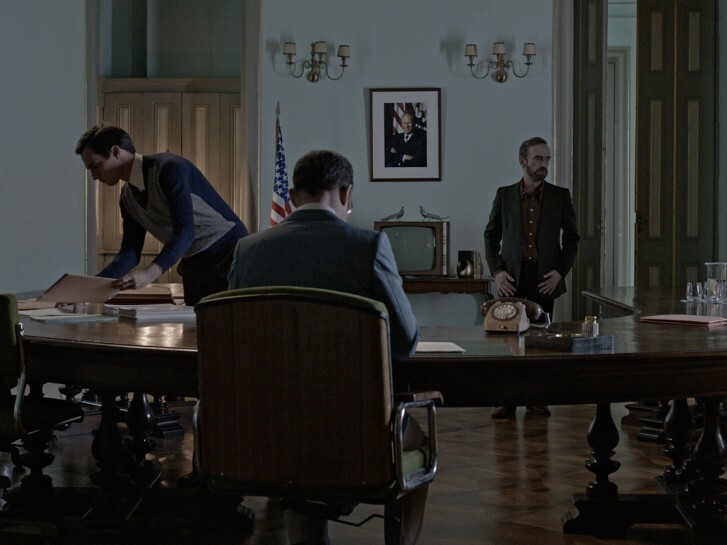 A multiscreen rendering of Joseph Conrad’s novel plays with cold war spy thriller conventions in an elaborately constructed conceptual art film. "I consider photos to be like films without moving images,” Stan Douglassaid recently. His images are cinematic, often nodding towards film noir or Alfred Hitchcock’s elaborate thrillers, but their complexity rests on their often oblique sociopolitical subtexts as much as their elaborate construction. With Douglas’s work, you often feel like you have stepped into a much bigger narrative that concerns, among other things, the lingering effects of post-colonialism and modernism.